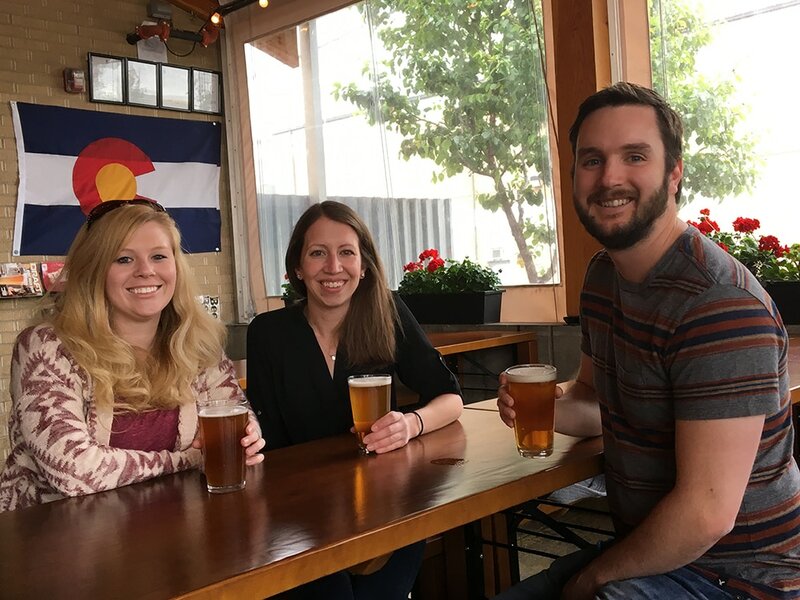 April 2019: The lab receives an RNA-sequencing grant from the RNA Bioscience Initiative! April 2019: Congratulations to Madison Rogers on receiving honorable mention for her NSF GRFP application! 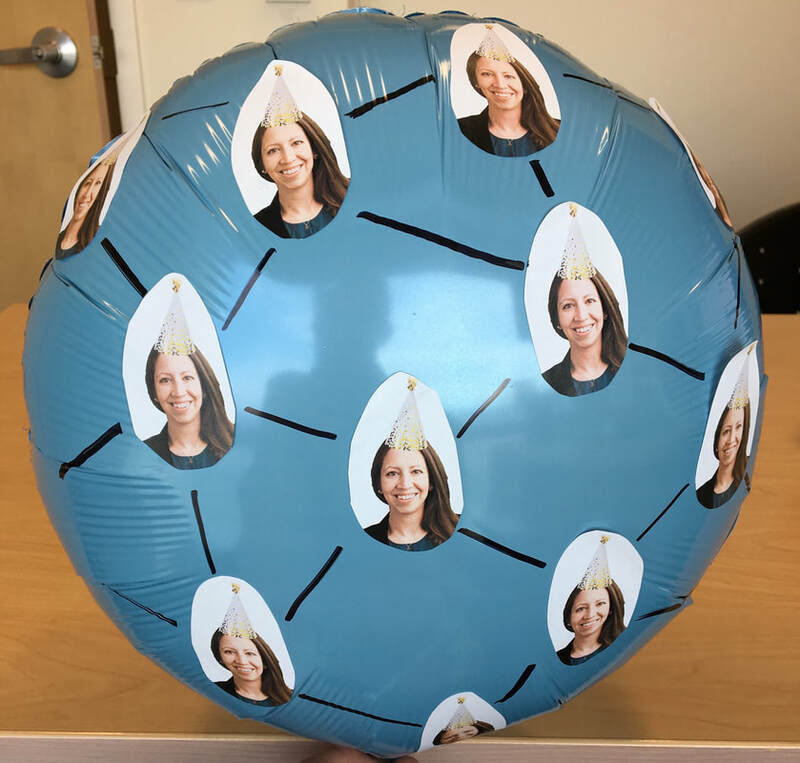 ​March 2019: The lab celebrated Katie's birthday with "Katherine-coated" (as opposed to clathrin-coated) vesicles and cake. 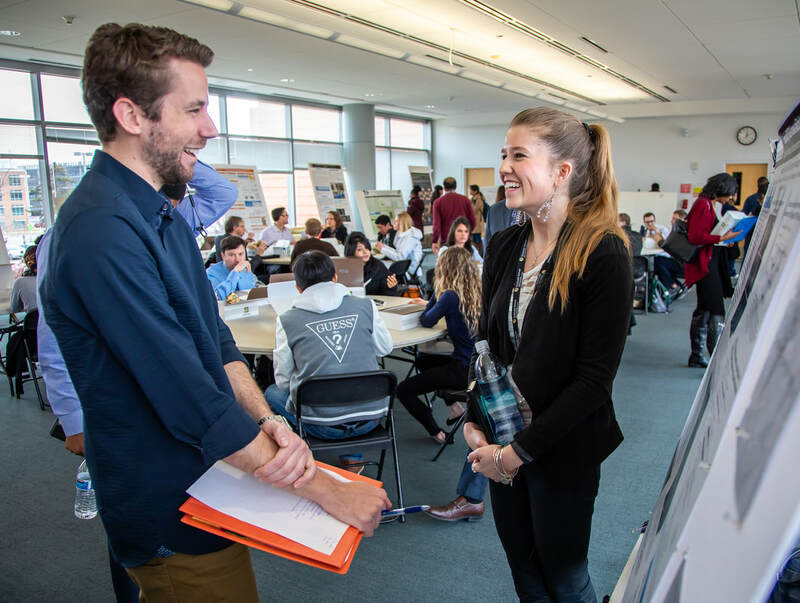 March 2019: Madison Rogers presented a poster and Brenna Dennison gave a talk in the Organogenesis Session at the Southwest Society for Developmental Biology Regional Meeting. February 2019: Elliott Brooks joins the lab as a rotating student from the Graduate Program in Cell Biology, Stem Cells and Development. Welcome, Elliott! 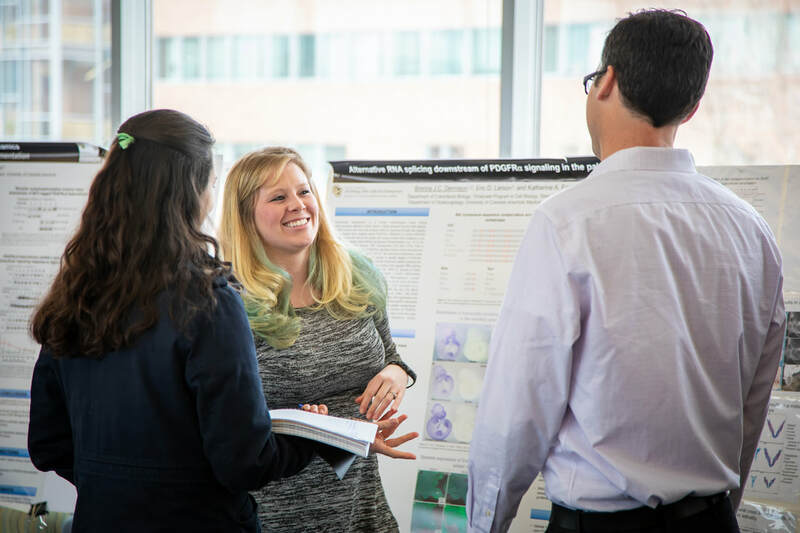 ​February 2019: Brenna and Madison presented posters on their work at the SODM 35th Annual Research Day. November 2018: Rachel Kilgore joins the lab as a rotating student from the Graduate Program in Cell Biology, Stem Cells and Development. Welcome, Rachel! 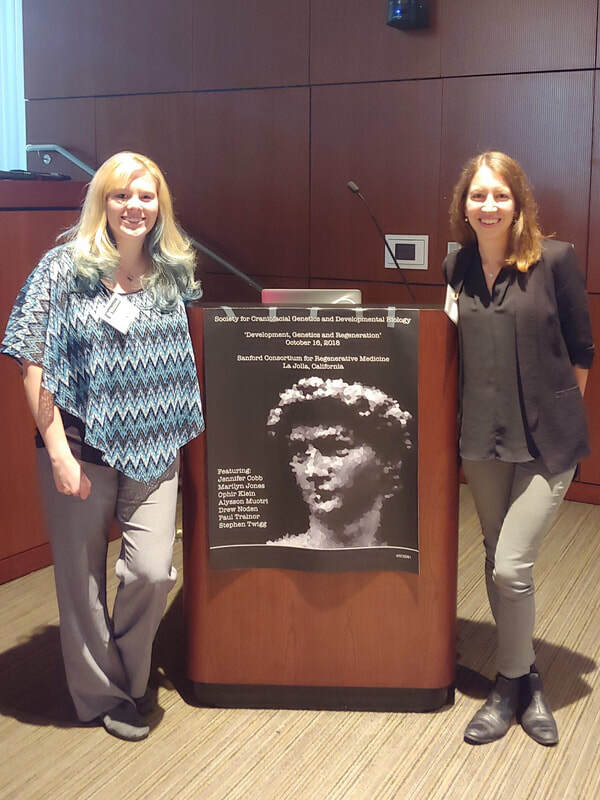 October 2018: Katie and Brenna attended the 41st annual Society for Craniofacial Genetics and Developmental Biology meeting in La Jolla, CA. Brenna gave a fantastic talk in the 2nd plenary session! 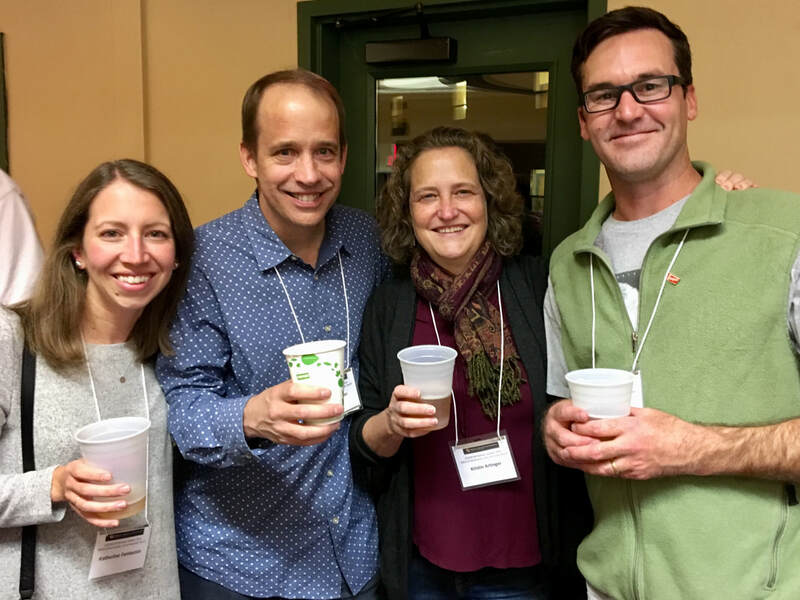 October 2018: Another fantastic Cell Biology, Stem Cells and Development retreat with our colleagues in the Department of Craniofacial Biology! October 2018: Brenna Dennison passed her comprehensive exam and is officially a Ph.D. candidate! October 2018​: Now accepting rotation students from the Medical Scientist Training Program! 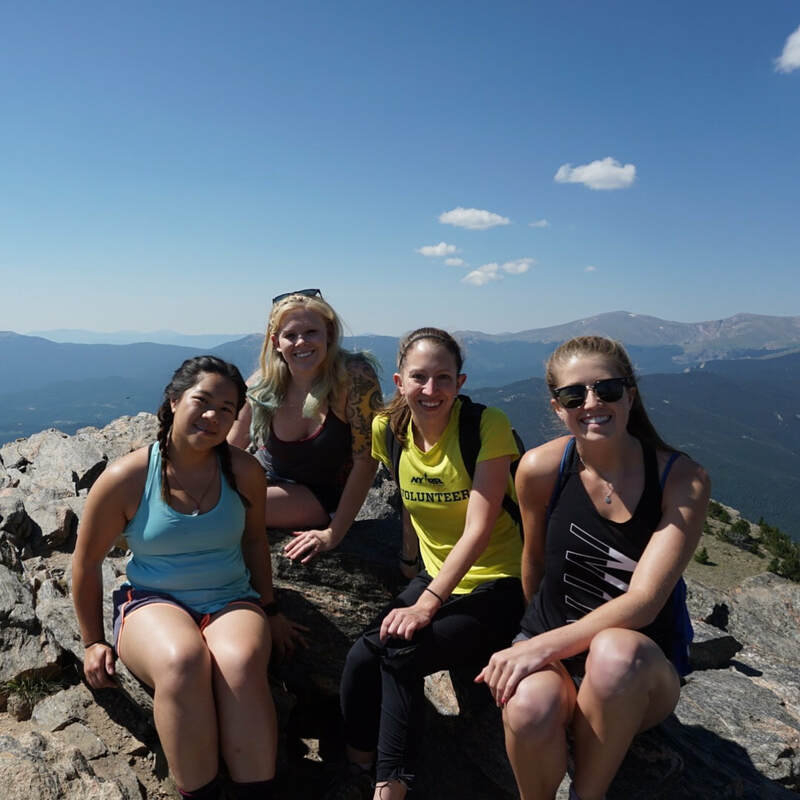 ​July 2018​: Lab hike up Chief Mountain followed by burgers and shakes. Great conversation and views! July 2018​: Madison Rogers passed her preliminary exam and officially joins the lab for her Ph.D. thesis work. April 2018​: Julia Mo joins the lab as a Professional Research Assistant. Welcome, Julia! March 2018​: Now accepting rotation students from the Biomedical Sciences Program! 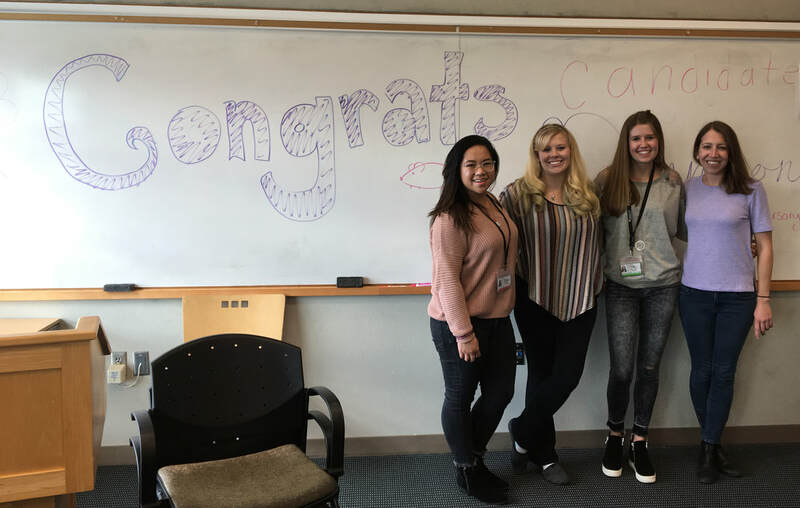 March 2018​: The lab is awarded an R01 from NIDCR to characterize PDGFR dimer-specific dynamics in the craniofacial mesenchyme. 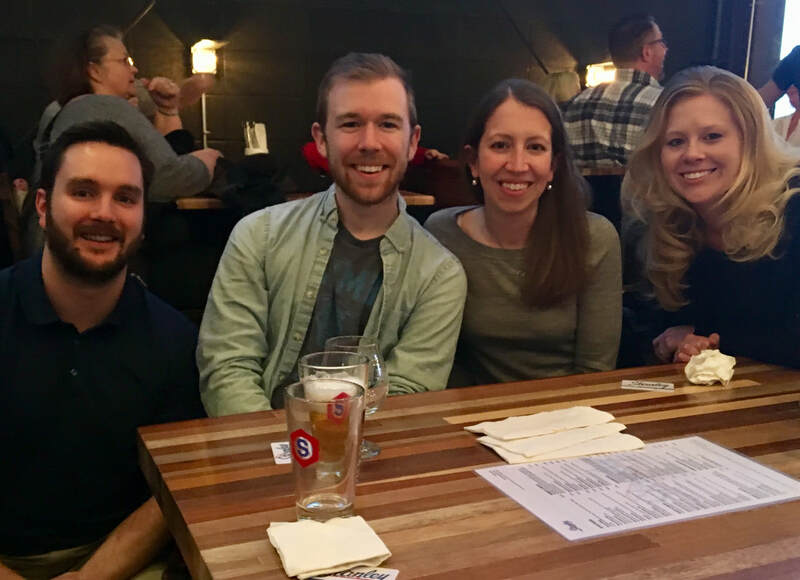 ​February 2018: Congratulations to Ian on completing his second rotation and giving an excellent post-rotation presentation! The lab celebrated at Stanley Marketplace. ​February 2018: Katie gave a talk and Brenna presented she and Brandon's poster at the SODM Research Day. Brenna won best poster in the graduate student category! 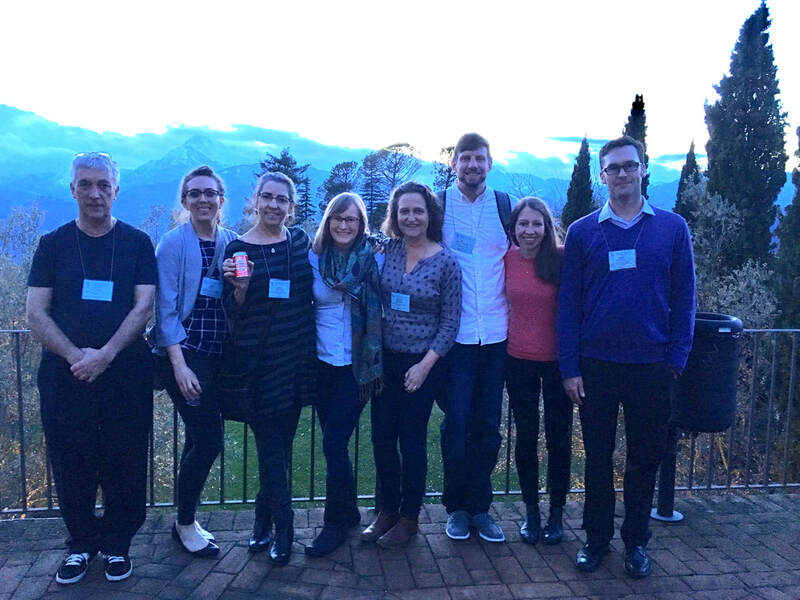 ​February 2018: The Department of Craniofacial Biology was very well represented at the Gordon Research Conference on Craniofacial Morphogenesis and Tissue Regeneration in Lucca, Italy. What a great group of colleagues! November 2017: Ian Stancil joins the lab as a rotating student from the Graduate Program in Cell Biology, Stem Cells and Development. Welcome, Ian! November 2017: Congratulations to Madison on completing her first rotation and giving an excellent post-rotation presentation! The lab celebrated at Stanley Marketplace. October 2017: The lab is all dressed up for Brenna and Anthony's wedding. 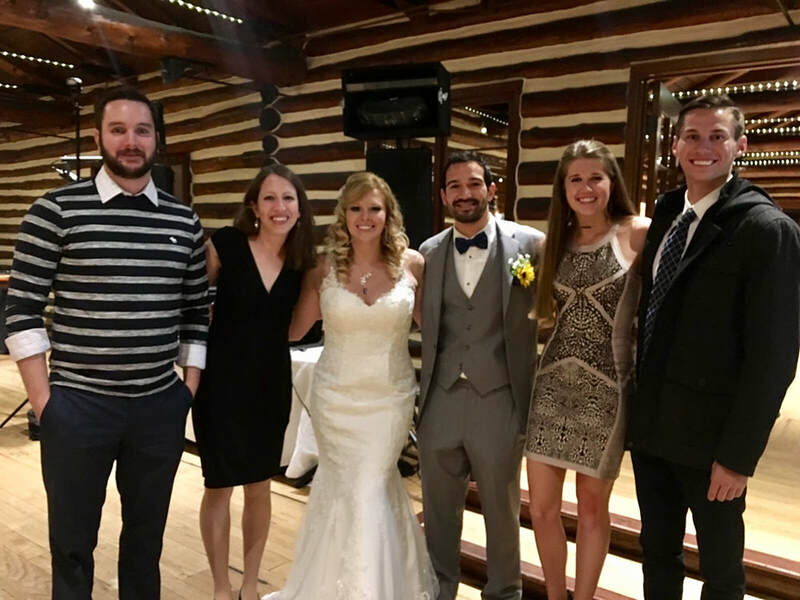 Congratulations and best wishes to the newlyweds! September 2017: Congratulations to Brandon on an excellent presentation at the SODM semi-annual student research competition! August 2017: Madison Rogers joins the lab as a rotating student from the Graduate Program in Cell Biology, Stem Cells and Development. Welcome, Madison! August 2017: Congratulations to Brenna for passing her Preliminary Exam! July 2017: Brenna Clay officially joins the lab for her Ph.D. thesis work. June 2017: Brandon Rinker joins the lab as a Summer Scholar before starting Dental School this Fall. Welcome, Brandon! 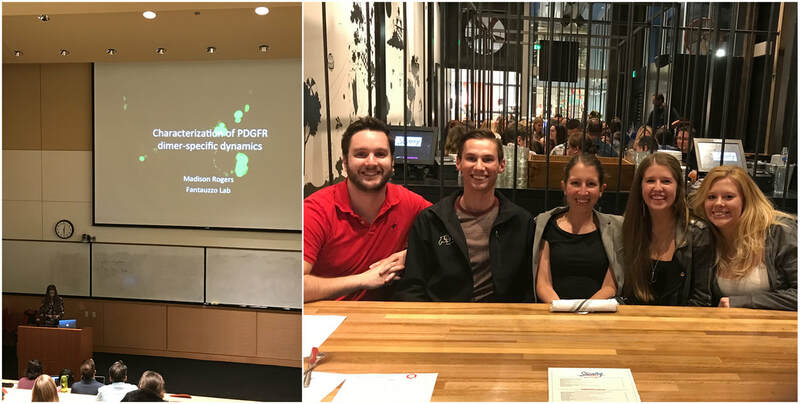 ​May 2017: Congratulations to Brenna on completing her third rotation and giving an excellent post-rotation presentation! The lab celebrated at the Lowry Beer Garden. February 2017: Brenna Clay joins the lab as a rotating student from the Graduate Program in Cell Biology, Stem Cells and Development. Welcome, Brenna! December 2016: Now accepting rotation students from the Graduate Program in Cell Biology, Stem Cells and Development and the Molecular Biology Graduate Program! December 2016: Rob Long joins the lab as a Professional Research Assistant. Welcome, Rob!